Adding little decor here and there in the house is a simple way to personalize your space. We usually forget that doors can also be customized. Of course you can paint them or add some molding, but if you are a tenant or just don’t feel like starting heavy work, you can also add some decoration on it. No need to wait for Christmas to make some pretty ornament. 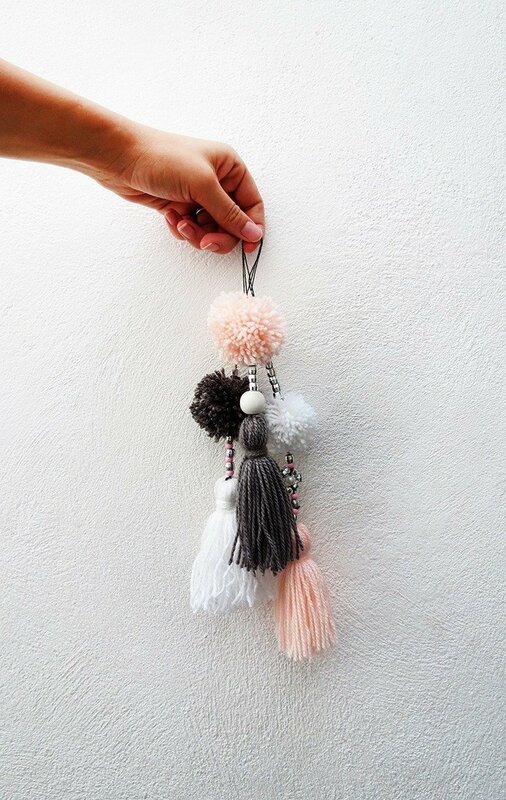 You can just hang on the handle these pretty pompoms and tassels ornaments. 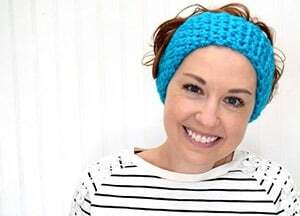 It’s a fun craft to make and it’s perfect to use yarns left over. 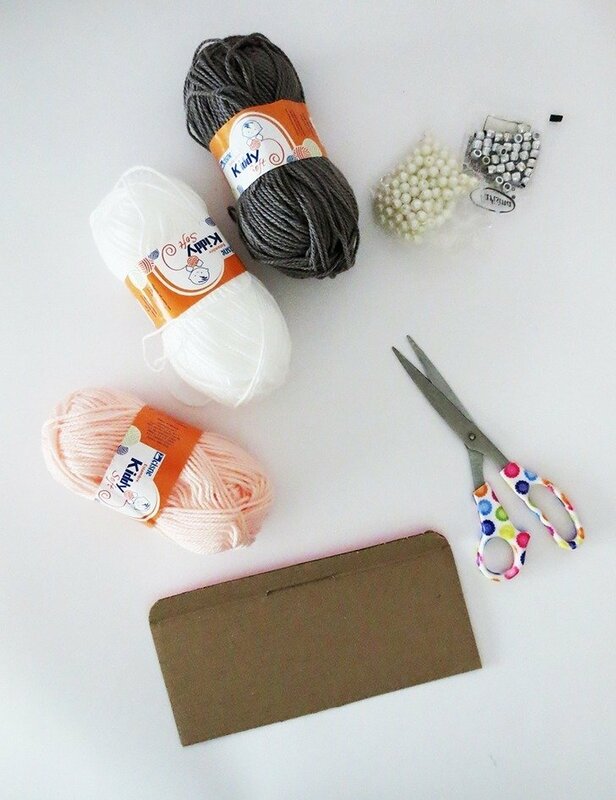 Material you need: some yarn (the colors you like), some beads, a piece of cardboard, and a pair of scissors. 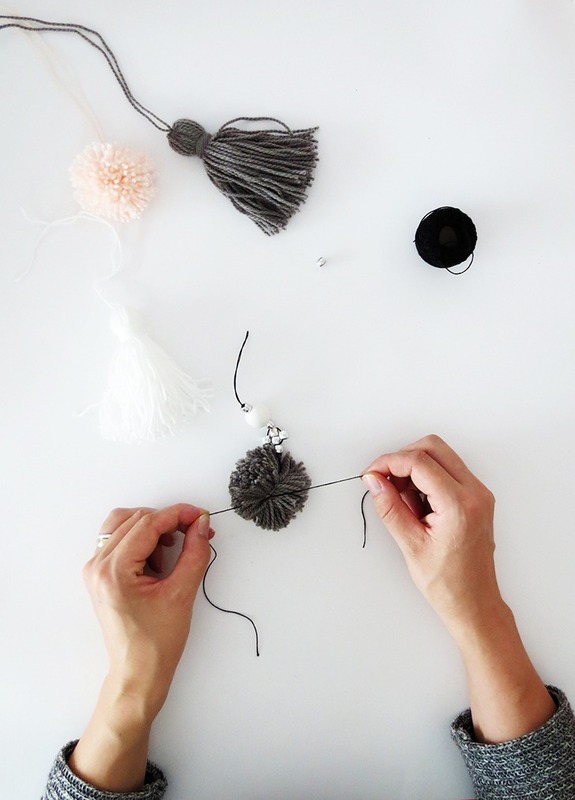 To make pompoms and tassels you need a piece of cardboard to wrap the yarn around it. Cut a rectangle of 4 inches by 2 inches, and start wrapping the yarn around the small side to make a pompom. Carefully slide the yarn out of the cardboard, cut a piece of yarn an attach the wrapped yarn center with it. Use the scissors to cut the yarns edges, don’t hesitate to trim the pompom to have a nice round shape. You will use the same cardboard piece to make the tassel. Just wrap the yarn around the long side. Once you are done wrapping, pass a piece of yarn around the top and make a knot to attach all the yarn together. Use the scissors to trim the yarn lower part and remove the cardboard. Wrap a piece of string around the top part of the tassel and make a knot to tie everything together. Cut a long piece of string, fold it in the middle and make a knot to create a loop. Be sure to make the loop big enough to be able to suspend it on your door handle. 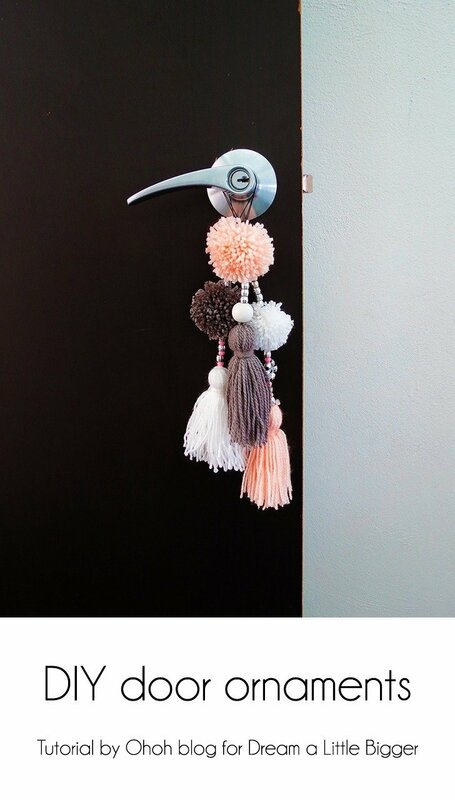 Put some beads, attach the pompom, add some more beads and finish by the tassel. Make as many door ornaments as you like. 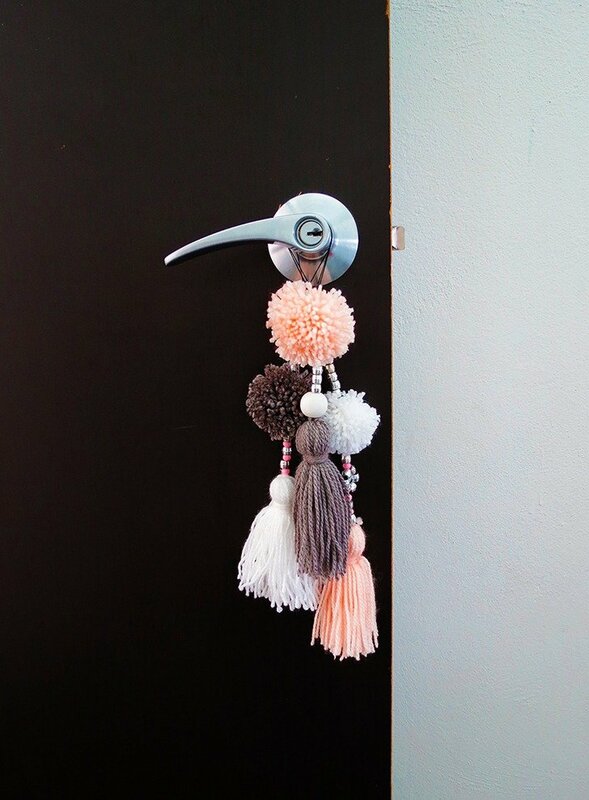 If you plane on hanging several at the same handle, make them with different length so they will be nicely display on your door.